Gear Software Manager is a free software version online check software. 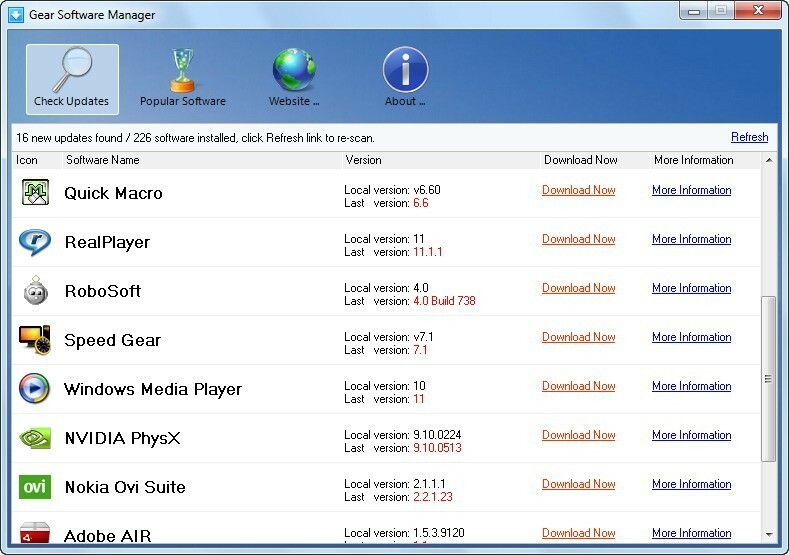 Gear Software Manager is a free software version online check software. First, Gear Software Manager scans versions of all software installed in your computer, then Gear Software Manager checks the last versions online to see if there are updates available. You can click a link to start download new version if it detects updates. Gear Software Manager also lists must-have software such as, Google Chrome or iTunes etc. You can check which must-have software is not installed and click a link to install immediately.